- Comes with a Universal Mount Plate that can only mount to a flat surface. 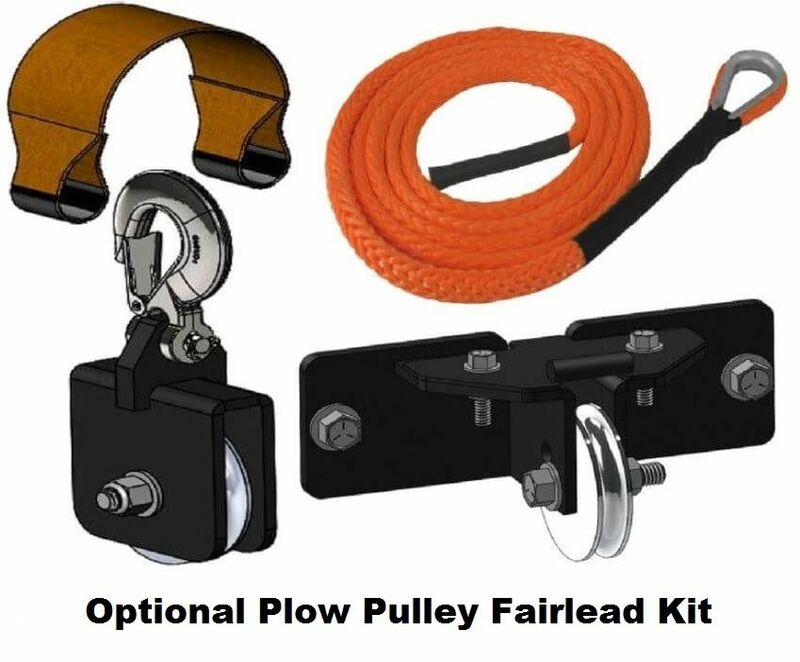 - WITH A SNOW PLOW SYSTEM, USING A SYNTHETIC ROPE WITHOUT THE PLOW PULLEY FAIRLEAD KIT WILL VOID THE MANUFACTURER'S WARRANTY. At Side By Side Stuff, we know that you love your side by side and like to spend your hard earned cash on decking it out with the latest and best upgrades. 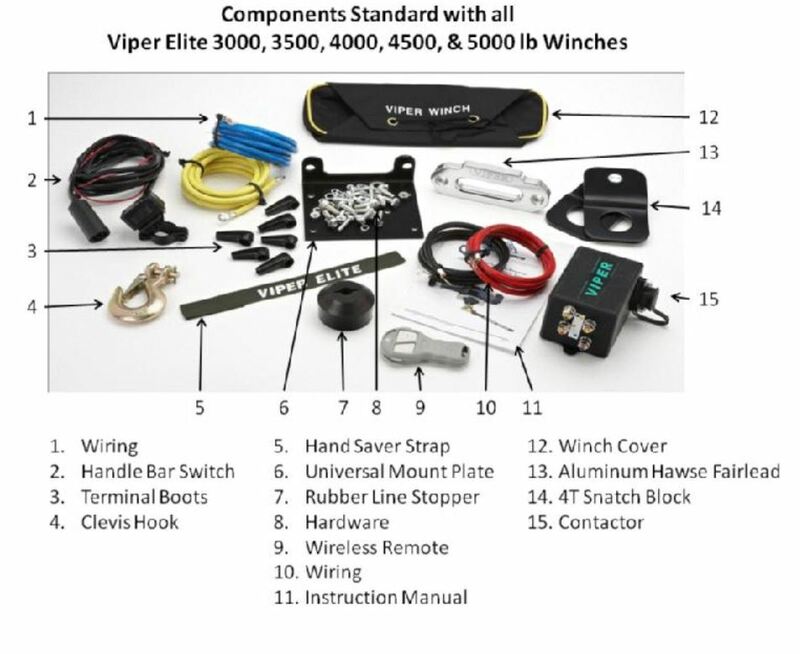 Well, if you're looking to add an upgrade that can help you get out of tight, sticky spots, the Viper Elite 3500 lb. Winch is just what you need. 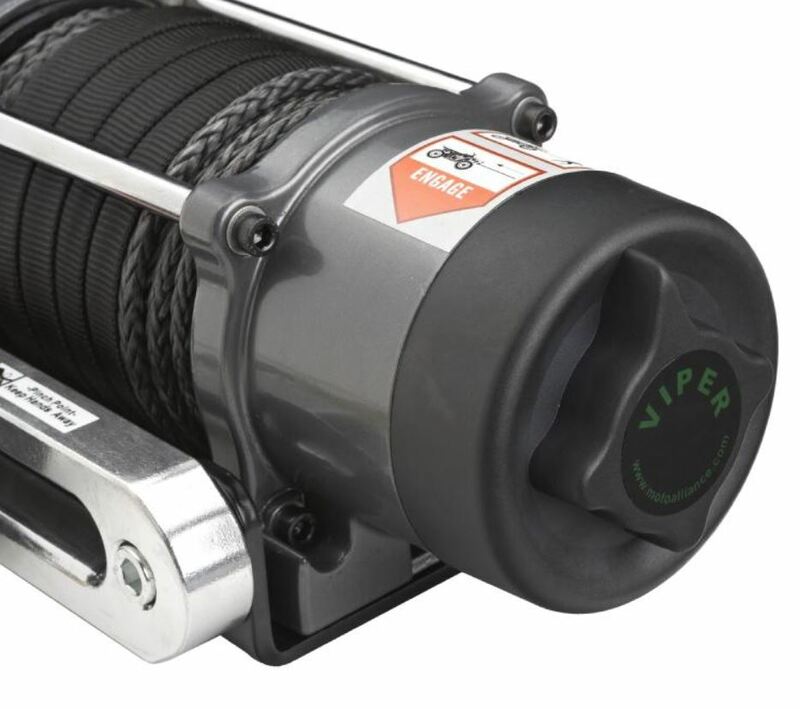 The Viper Elite Winch has a lot of great features that make it a top choice in winches. The stainless steel tie rod and fairlead hardware and motor terminals helps prevent rusting. 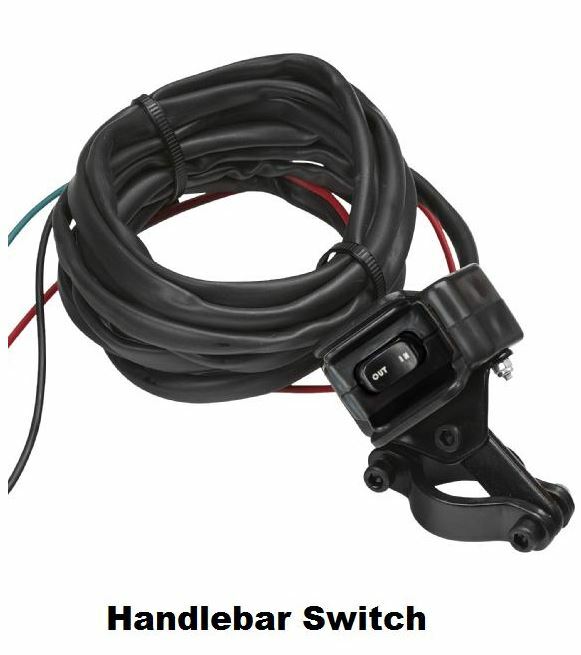 The paint and handlebar switch is waterproof, for a long-lasting system. The Elite 3500 lb. Winch comes with a wireless system standard and has a unique frequency to prevent interference with other wireless setups. The receiver and handheld unit are weather resistant and automatically powers off to conserve battery life. 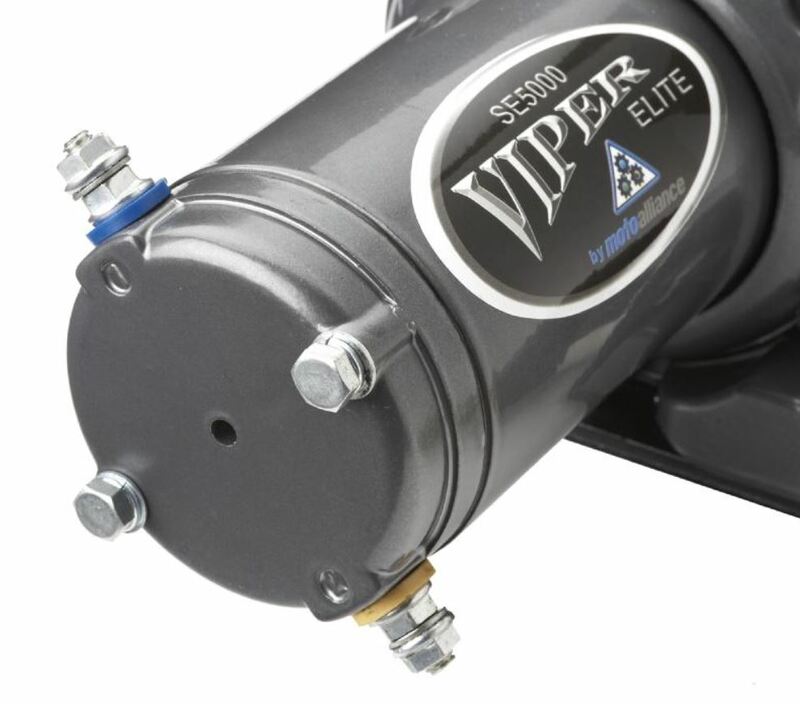 With "Whisper" quiet greasing system for the metal gears, the Viper Elite Winch will stay running smoothly with little noise. The Elite 3500 lb. 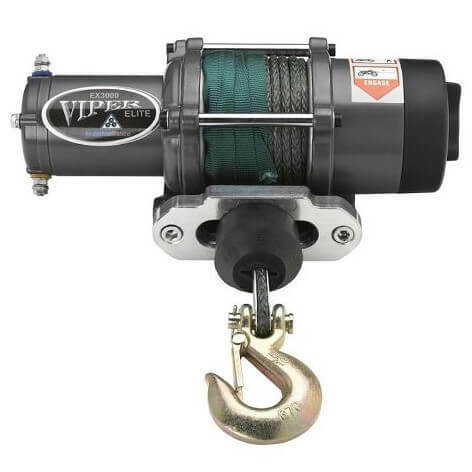 winch comes standard with 1/4 inch by 40 foot AmSteel-Blue Synthetic Cable in your choice of color. The synthetic cable has a max load rating of 8,600 lbs. and 1 year warranty. 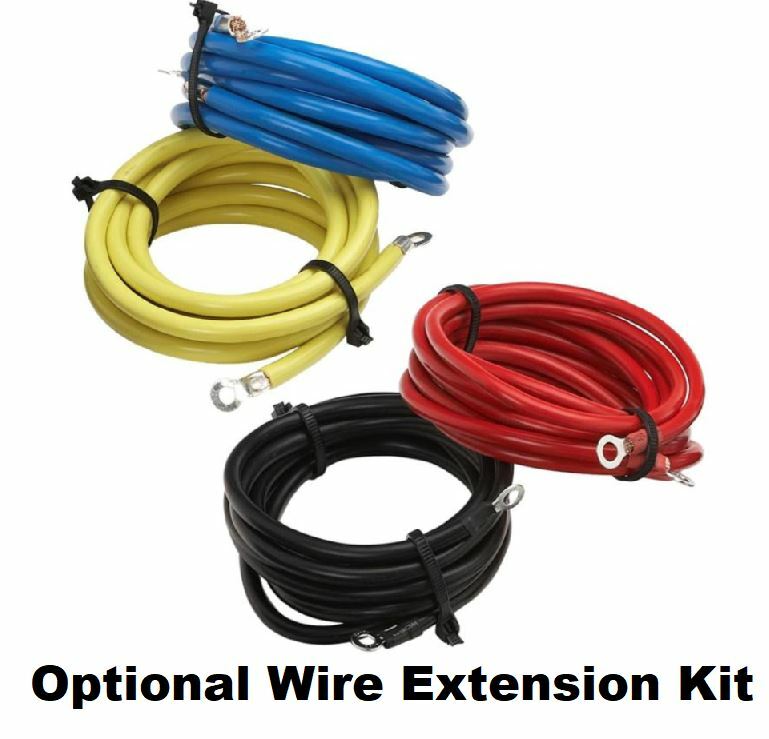 With some machines, a wire extension kit is strongly recommended to install the winch to your machine. There may not enough wiring to reach the battery in most mounting locations on machines that it is recommended for. 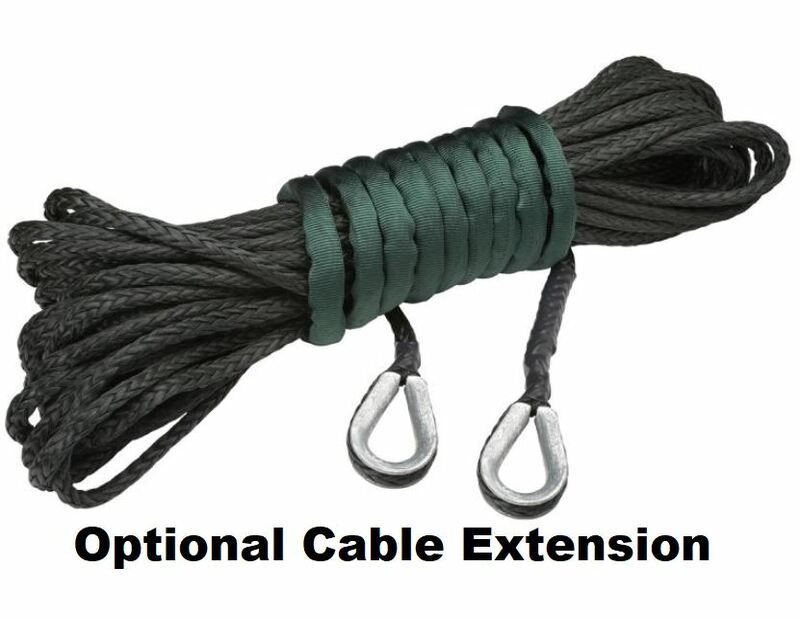 Made from AmSteel Blue synthetic fiber rope with Samthane coating, this extension is sure to last the test of time. The extension comes with woven metal eye holes and allows you to extend the length of your plow cable. This one does not sound like it will last when it pulls. it was exactly as described. great layout on web site with all proper options on which model fits your model. Instruction clarity could be better. Overall great so far. The hardest part of the installation is taking the plastic off... (I have 5 or 6 fasteners left over. 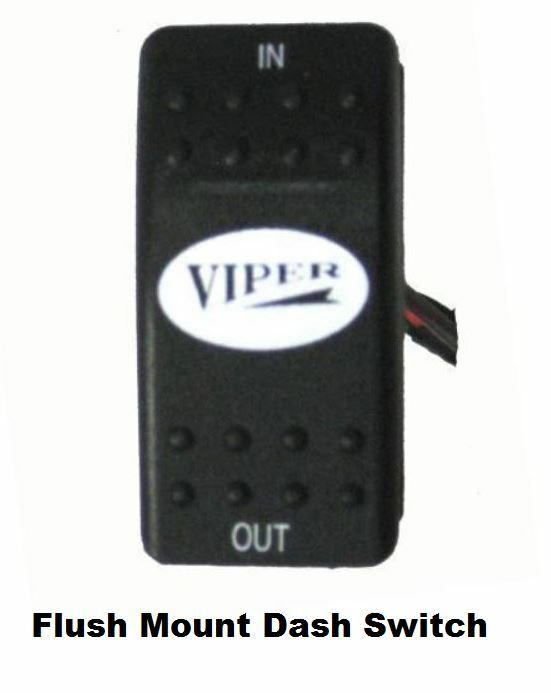 Lol) I bought the Viper Elite 3500 winch with the wireless remote and panel rocker switch. On the Wolverine the wiring is way longer than you need. I cut to length and attached appropriate eyelets, etc. I purchased a Yamaha tap, which inserted in a plug off the 12V 'cigarette lighter style accessory on the dash. I still had to splice the wires from the dash switch, but the wiring harness that came with the winch made provision for the wireless switch module.. Actually, splicing and soldering the wires would have been very easy to do.. I purchased the optional Wolverine winch plate and it worked well, with a little 'tinkering' to line up the bolt pattern.. I mounted the contactor on top of the battery using Scotch Lock adhesive strips.. It isn't going anywhere and is out of the weather. Same with the wireless module, which I mounted inside the glove compartment on a vertical wall... Also out of the elements...Once installed, everything worked right out of the gate..I love the wireless remote, just hoping I don't lose it...I mounted it, using the same ScotchLock adhesive fasteners in storage area in the dash. Awesome product, was missing the bump stop but one call and Side By Side Stuff shipped it out no charge. Great company to work with, will use again. The winch installed well, with a little bit of work. All required parts were shipped with the product. Looks awesome and functions as it should. Great prices, fast shipping and a nicely made winch ...have not really used it yet and will be using it to snow plow this winter.